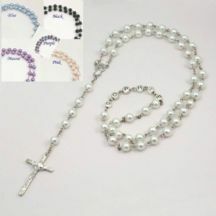 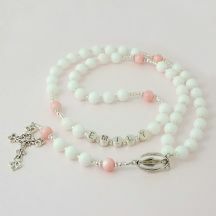 Welcome to Heaven's Blessings Rosaries. 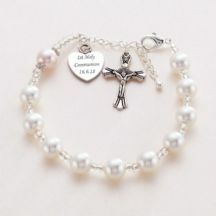 We specialise in heirloom quality personalised rosary beads with engraving and personalised rosary bracelets. 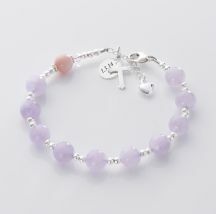 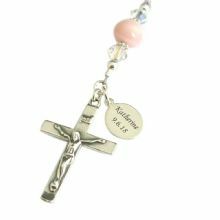 Our personalised rosaries can be made in a range of beautiful, high quality, semi-precious stones with Sterling silver parts. 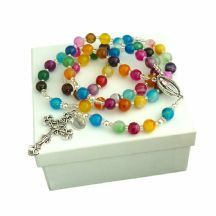 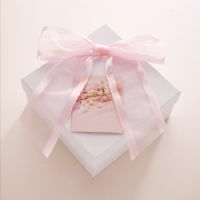 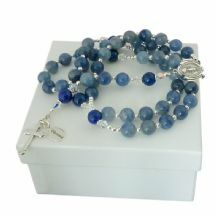 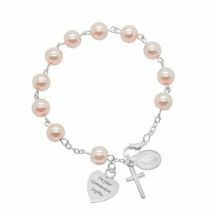 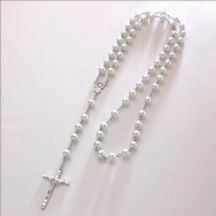 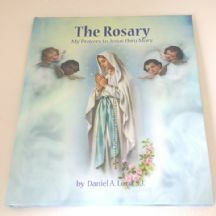 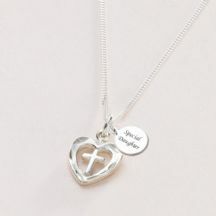 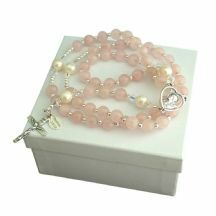 Rosaries, rosary books and catholic jewellery items make perfect gifts for any Baptism, First Holy Communion or Confirmation Day. 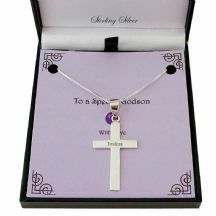 They are all made and dispatched quickly with free delivery in the UK.